We’ve always known that not getting enough exercise was the cause of bad health. Studies showed multiple times that not moving enough could lead to heart problems and muscular ones as well. However, recent research suggests that sitting for more than 6 hours a day should be the very limit to the time that we spend sitting down, or in a motionless state in which could be anything, including lying down. If you think that you’re spending more than 6 hours a day doing nothing but sitting in a chair, lying on your couch or your bed, then you’re not alone as pretty much most of the human population in developed countries are living a similar lifestyle. The current routine of having an 8-hour job in which there’s nothing much to do except sit around in front of a desk or a computer is proven to be an unhealthy one. However, the good news is that you can do something about it. If you think that you’re being productive if you’re working more hours a day, you’d be dead wrong. Your mental health needs your body to perform some sort of exercise on a daily basis. If you fail to do as much, your mental health could deteriorate, and you’ll find yourself sitting long hours at work but not getting nearly the amount of tasks done as you would have if you’d spent some of your time exercising. 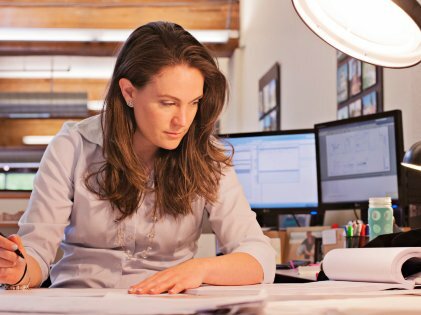 Standing doesn’t count as the motionless state that starts killing your body faster than necessary, so if you can get your hands on a standing desk, that could work out perfectly for you. A standing desk is pretty similar to its normal counterpart with the only difference being that it’s higher than usual desks and allows you to stand up while you’re working on it. Some of the best models make sure that the desk is adjustable so that you can stand and sit as you like. 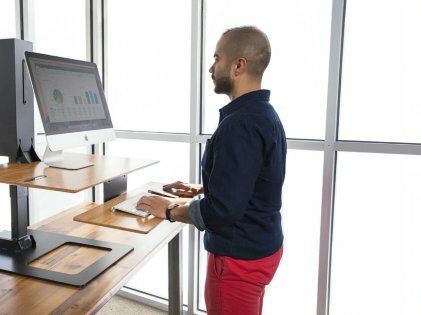 Your office probably doesn’t have such desks, but if you reach out and explain to them how standing desks are being chosen by offices these days along with the harmful effects of sitting around all day, they’re likely to accommodate you and get you a desk in front of which you can stand. Of course, the fact that your productivity will increase should be all you’ll need to convince your boss to get you that desk. You can’t help sitting around when you’re at your workplace unless your job is physically demanding, which is most likely isn’t. If you can’t happen to get your boss to have a standing desk at the ready for you, which might not be an ideal investment for them, then you can’t just give up. According to studies, some movement is always better than no movement. That is to say that you’ll benefit from 10 minutes of movement, which could be a short walk or the act of your cleaning your room, is much better than not doing anything. You don’t need a complete fitness routine in order to make sure that you’re not at the bottom of the barrel when it comes to your health and well-being. 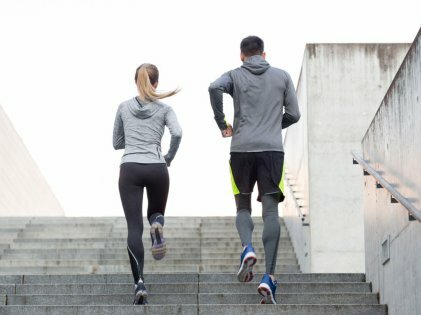 If you find yourself sitting in your office for most of the day, then one thing that you could do is take a quick walk every hour or so, so that the blood circulation in your body stays fresh. The other thing to do is to make sure you don’t end up a couch-potato when you’re at home. Don’t start watching a movie or reading a book when you get home. Instead, make it a point to be as physically active as you can to make up for the hours that you’ve been sitting during the day. If you start focusing your attention on living a healthy lifestyle, there shouldn’t be much that could get in your way. There are plenty of creative ways in which you can make sure that you’re not sitting around too long every day, and if you make an effort to achieve your end goals, the chances are that you’ll be successful in doing so.